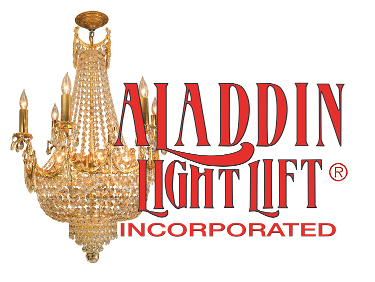 Aladdin Light Lift was founded in 1990 to manufacture a patented motorized chandelier lift system to raise and lower chandeliers for cleaning and bulb changing. This innovative product was the original light lift system, and the first reasonably priced motorized system to be produced in the United States. The Aladdin system was rigorously tested by Underwriters Laboratories and is designed for years of trouble free operation. Currently, the Aladdin systems are marketed through prominent lighting showrooms throughout the United States and Canada. 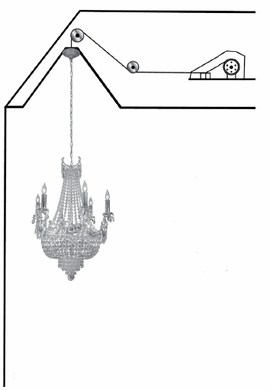 If you have high ceilings and want to maintain the luster of your chandelier, and avoid dangerously tall ladders or costly cleaning services, then Aladdin Light Lift has the answer for you. 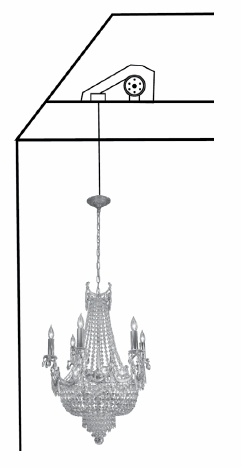 It is the safe and convenient companion for your chandelier.